Great for lingerie or childrens clothing! 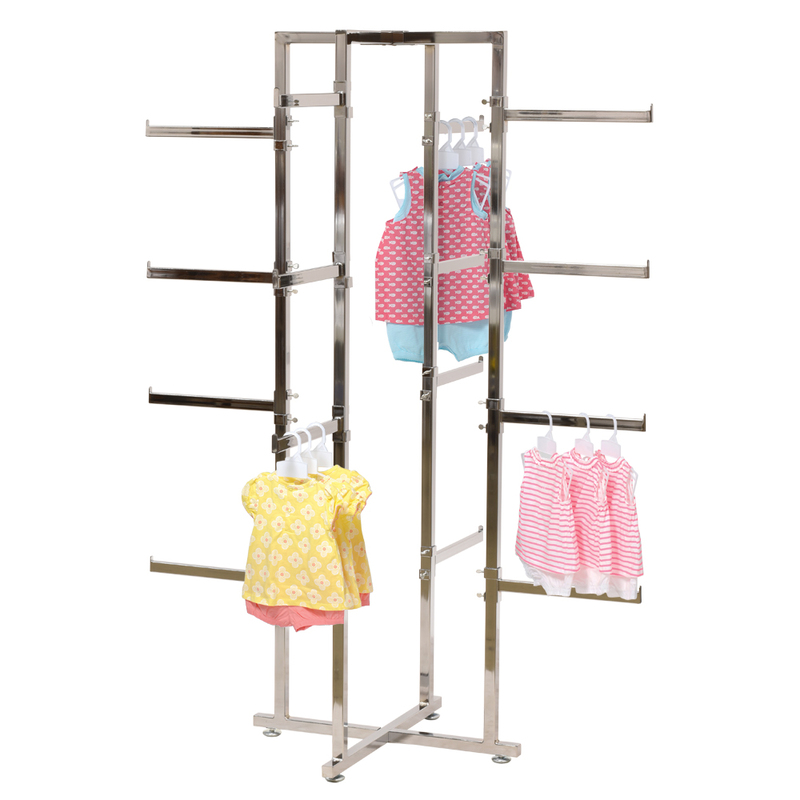 The Folding Apparel Tower is an easy addition to your store. 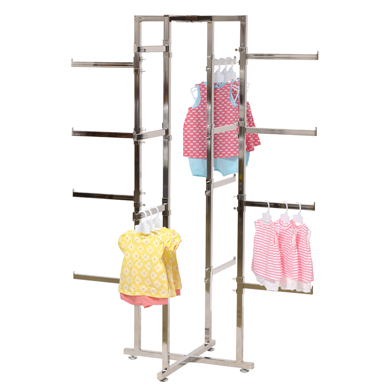 These clothing racks features adjustable arms to display a variety of items like purses, lingerie, children`s clothes or even your pet clothing collection. This retail clothing rack Tower Display is constructed with 1 in. square tubing with 16 twist-on arms that measure 1/2 in. x 7/8 in. x 12 in. The arms can be adjusted to any height to accommodate any clothing or accessories. For many more options, we ask you to take the time to view our complete assortment of retail clothing racks for sale at Specialty Store Services today.